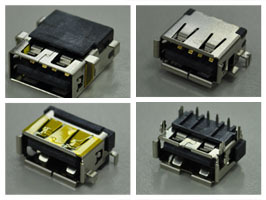 Full line of Universal Series Bus plugs and receptacles for ease of design. Series A and B plugs and receptacle. Single and Double stack for Series A receptacle. Solder and Crimp for Series A and B plugs. Allow the connection of up to 127 devices.